Algebra II (4) Quiz Student work. 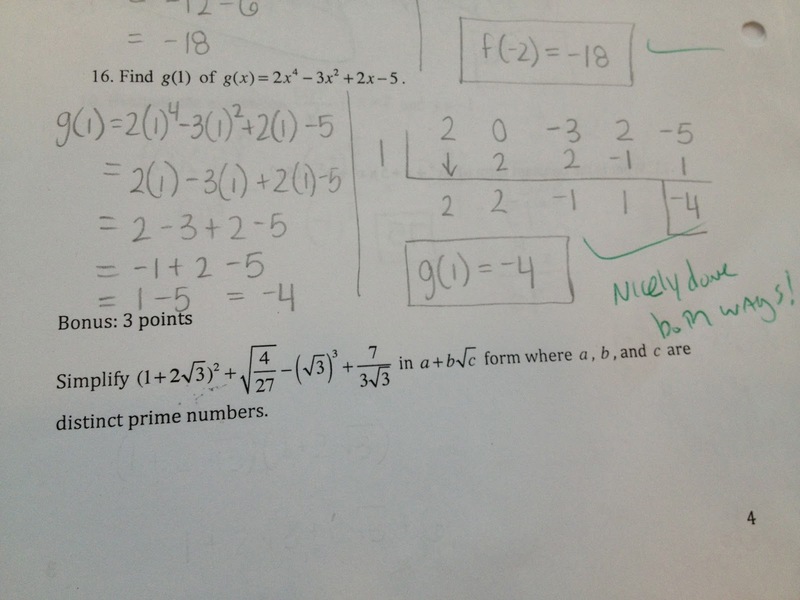 Here is some student work from our most recent quiz. The average was a 90% in both of our classes. Ask your son or daughter to explain to you the mistakes when applicable. After vacation we are still in our polynomials unit and will have a short quiz on the second half of the unit before a final unit test. 2 to the negative 1 can never be negative. The answer is one half. 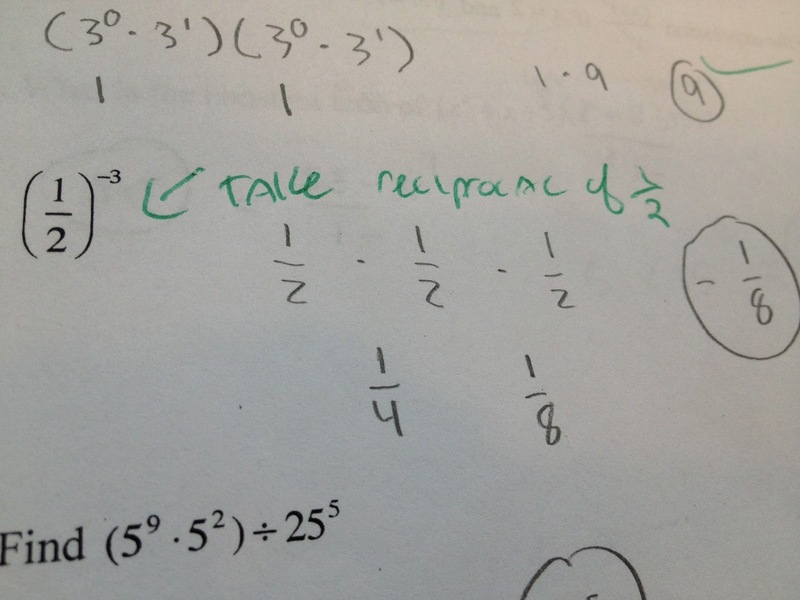 Below, the student did not take the reciprocal of (1/2). Answer is 8. Below is an example of great work. 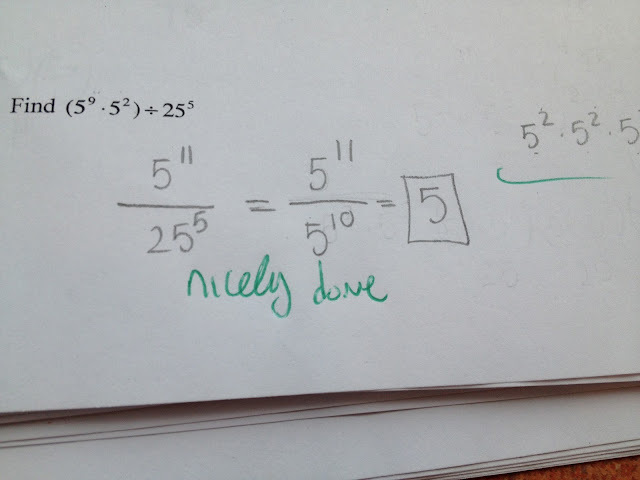 This student converted the bases all to 5 and then used the exponent rules we learned. Nice work! Below, this student needed to expand/FOIL. 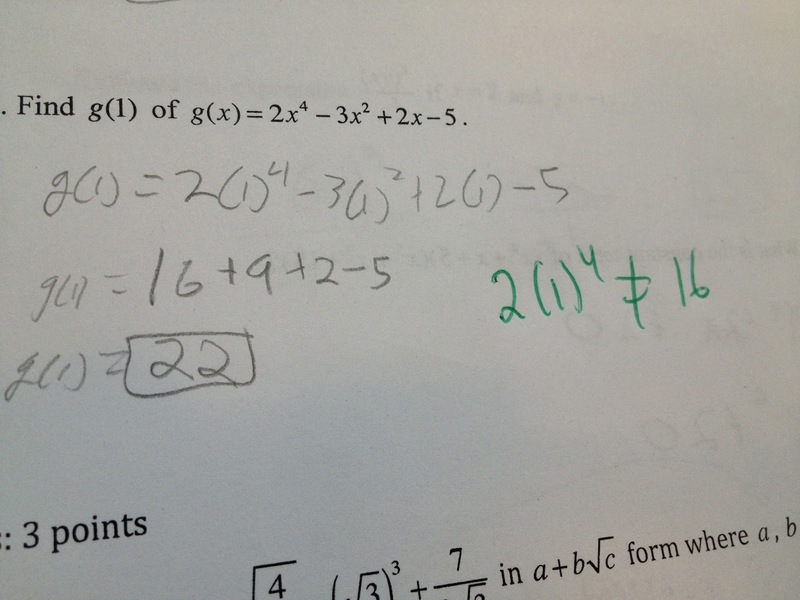 Do you see why the answer is 75? 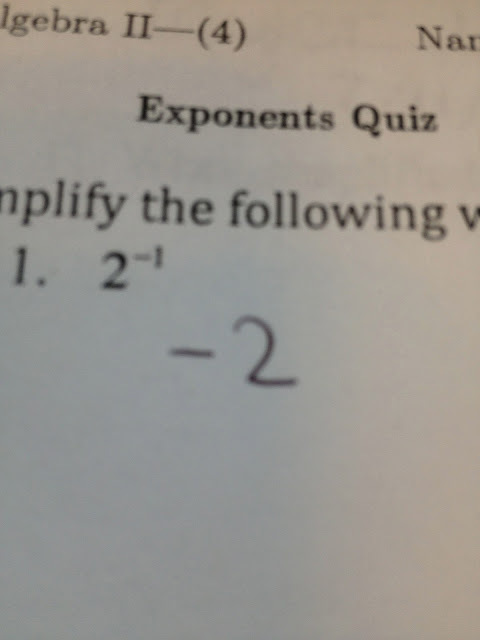 This student seemed to ignore the base of 10. 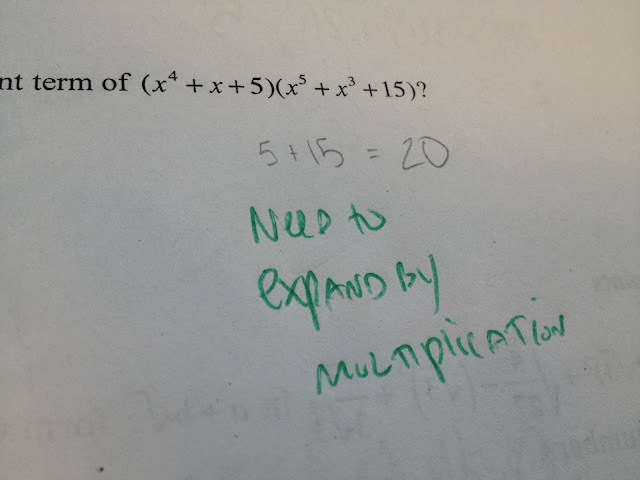 The answer is 100. Explain to me why. Below, this student forgot the difference of squares. That will be important to know. Looks like I didn't take off points :). Take a careful look below, can you spot at least two mistakes?